Over the past 2 weeks, Henry Cavill has been setting off a series of tweets hinting at the coming of Hal Jordan to the big screen. We do know that Carol Ferris played a role in Man of Steel and Batman v Superman: Dawn of Justice, is a love interest of Hal Jordan and becomes Star Sapphire which hints at Green Lantern being part of the universe. In his latest instagram post, Cavill says, “Nothing funny to post here, it’s deadly serious because I’ve got to make sure that I’m bigger than Green Lantern….Wait whaaat?” regarding getting back into shape after a knee injury. John Stewart seems to be the prime contender to be added into the DC universe, being that he is a fairly large former marine and would add a bit of color to the team which is something that could draw a more diverse audience. But the question is, would this be someone who is added to the upcoming Man of Steel sequel, which might be directed by Matthew Vaughn? Could we see Green Lantern join in the fight against Darkseid in Justice League. It would only make sense as he is the protector of sector 2814 which includes Earth. Wouldn’t it be nice if he just showed up as the fight was to begin similar to how Wonder Woman did but without the introduction until later? 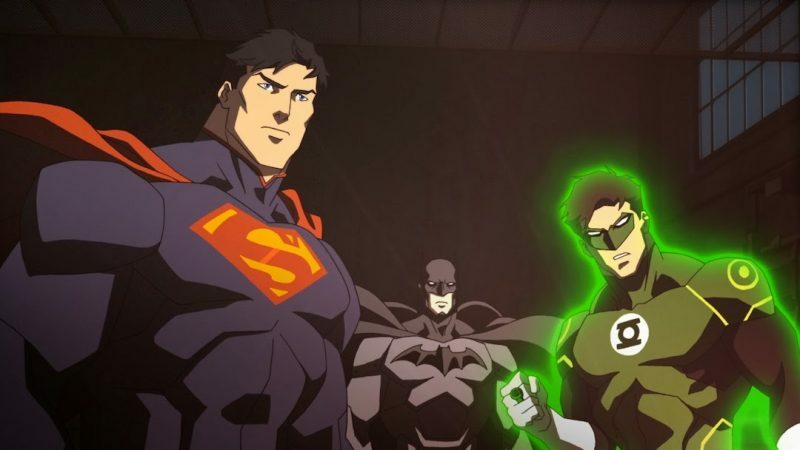 Lastly, which of the rumored Green Lantern casting choices are actually bigger than Henry Cavill? There are a lot of questions to be answered, but it seems we have to wait until Justice League hits theaters on November 17, 2017. Since I came off the ol knee injury I've been steadily increasing my training work load. I know it's irritating when people say this but it genuinely does feel so good to be back in it. I'm not destroying myself every day. Just working towards improvement by pushing hard enough to elicit change. Nothing funny to post here, it's deadly serious because I've got to make sure that I'm bigger than Green Lantern….Wait whaaat?